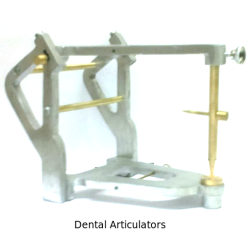 We are one of the leading exporters of Dental Articulators, Medical Instruments, We offer High Performance Hospital Dental Equipment as per technical specification and tender requirements for Medical labs, Medical educational institutions & Hospitals.Dental Articulators are designed to provide maximum operating efficiency. 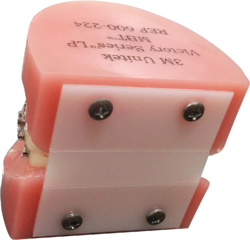 Our Articulators are made of high copper alloys and are used for denture making. All filled with high carbon steel balls for smooth setting and Articulation of Denture. Easily Portable in A Leather Case. Made in korea Company Cori dent.